red Arrow DOES NOT babysit. . Wallpaper and background images in the Young Justice club tagged: young justice red arrow young justice the team. LOL! This is HILARIOUS!!!! And Robin only looks cuter! thank you emilypenguin55!!! I love this pic! LOL!!!!!!!! 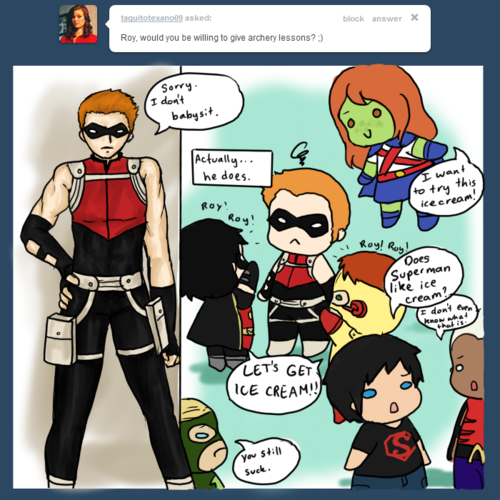 I cant believe Kalder and Megan dont know what ice cream is!!!!!! I want ice cream too!